On paper, Madeleine Fitzpatrick and Evan Shively seem like a classic case of "opposites attract." He's a quiet, thoughtful Harvard grad raised by academic parents in Boston, while she's a farm-reared Irish spitfire who is a professional painter with a passion for outrÃ© ensembles (including, when we met, a leopard fedora and a bright red rabbit-fur coat). But there's one arena where this couple is in complete alignment: their love of sustainable, ingredient-driven food. 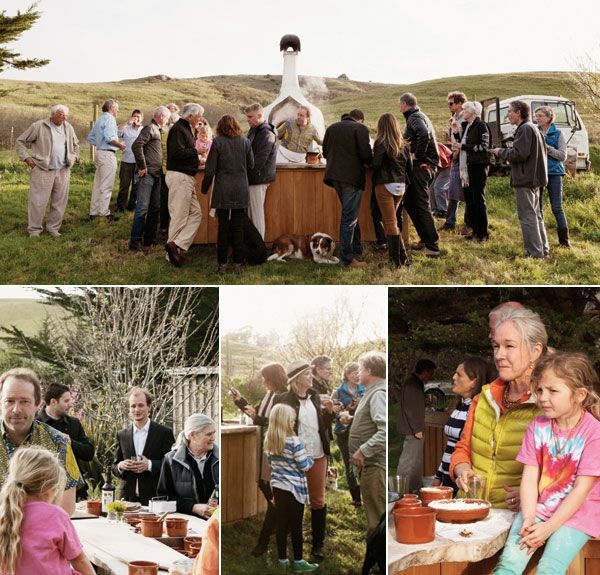 They met when Evan was a chef at Wolfgang Puck's Postrio in San Francisco and Madeleine tended the gardens at the Farallones Institute, and even after Evan left professional cooking to start Arborica, a salvaged wood mill (which he still runs), the couple's interest in food has been their driving force. 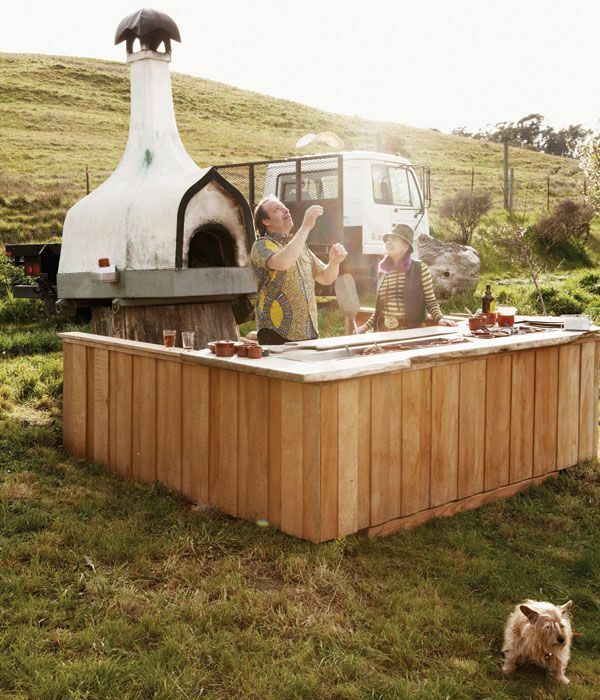 These days, the pair is best known for their mobile pizza ovens, a fixture at Bay Area art openings and restaurant parties. Built of refractory concrete and firebricks, with fancifully sculpted copper domes, the wood-burning ovens (which he often fires up on the back of his pick-up truck) reach 800 degrees and can cook a pie in about two and a half minutes. Shively tosses the dough and tops pizzas Fitzpatrick monitors and turns the pies while they cook, and a third helper adds finishing touches. "Pizza is a big tent for us," says Shively. "Some things are really just crust, and we add everything else on top." The couple's global culinary influences are reflected in their favorite toppings. He prefers cured foie gras, caramelized onions and a rhubarb sauce, while her favorite is topped with albacore tuna tartare, salted lemon, roasted fava beans and aioli. Their California waterfront home in Marshall is a much-loved retreat for local culinary pros, and their circle of friends includes the chefs of Bay Area gems like Boulevard, Quince, JardiniÃ¨re, Chez Panisse, Ame and Presidio Social Club. But their reach extends to anyone who loves food. "Pizza is supposed to be fun." Shively says. "For one night, in whatever inaccessible spot, you can have a beautiful pizza oven there." The scene: Hungry, devoted fans parked in front of the oven waiting anxiously for their next slice of heaven, as Shively and Fitzpatrick, sweating furiously, shovel pies in and out. Now for the bad news... 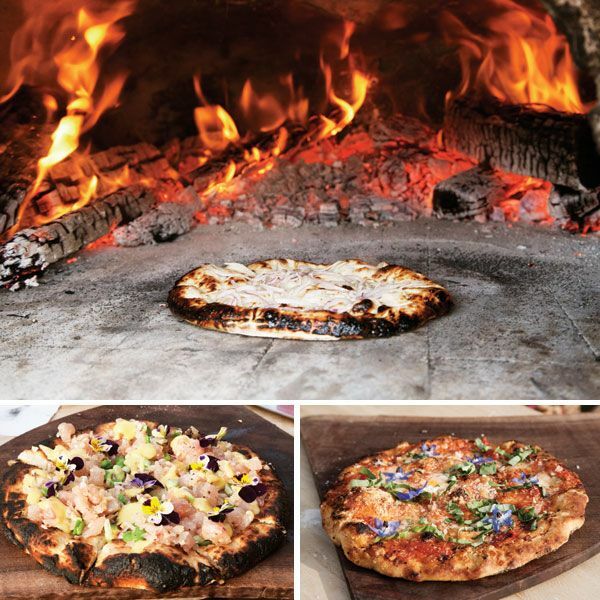 Since making pizza isn't Shively and Fitzpatrick's full-time job, and a labor of love more than anything else, they only fire up the grill sporadically, and generally only for friends and private events. Top collage, top photo (L-R): Russell Chatham, Lars Richardson, David Jahar, Fletcher Fletcher, Peter Olson, Susie Buell, Mark Buell, Susie Walken, Davia Nelson, John Lyons, Evan Shively, Josh Weisman, Liz Weisman, Chris Deam, Josh Berry, Annie Haley, Corey Goodman, Marcia Barinaga.